October 12, 2018 6:45 pm. Damien Oliver expects to be fit for the Moir Stakes after hurting his leg in a barrier mishap. 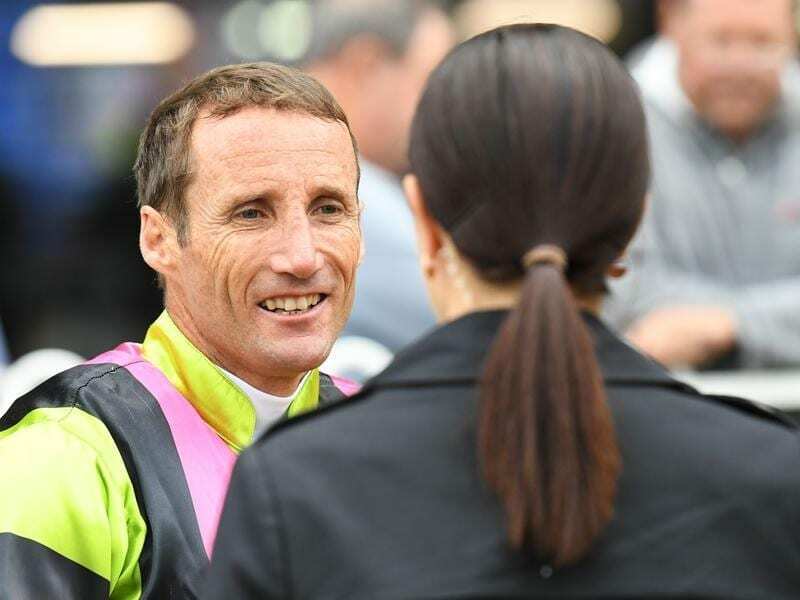 After being cleared of any serious damage from a barrier mishap at Flemington, champion jockey Damien Oliver says he’s confident he will be able to ride at the Group One Moir Stakes meeting at Moonee Valley. Oliver is booked for five rides at the Valley on Friday night including the Garry Frazer-trained Spright in the Group One Moir Stakes. On a big weekend of racing, Oliver is also booked for important rides at Caulfield on Sunday headlined by last-start Makybe Diva Stakes winner Grunt who is favourite for the Group One Underwood Stakes. Oliver got his leg jammed against a steel part of the barriers at Wednesday’s meeting when the horse he was due to ride in the third race, Thousand Wishes, played up in the gates. “It was right on my shin and it was really quite painful,” Oliver told RSN927. The jockey was stood down from the rest of the meeting and taken for scans which cleared him of any breaks. Oliver said the leg was “a bit stiff and sore” on Thursday morning but he was at the beach walking in the salt water to help his recovery. “Fortunately there was no serious damage, just a bit of bruising and hopefully we should be right to ride on the weekend,” Oliver said. Spright was at $41 in Moir Stakes betting on race eve while the Mick Price-trained Grunt was at $2.90 for Sunday’s Underwood (1800m) as he bids to add a third Group One win to his Flemington successes in the Makybe Diva Stakes and Australian Guineas this year.